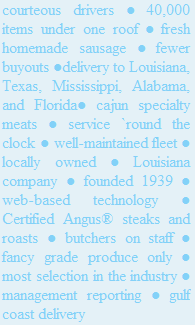 The finest selection of groceries expertly packaged and trucked to the ports across the Gulf of Mexico. Give your hard working crews in the gulf, the comfort foods of home. We don't just talk...we deliver. Our team is geared to adding a bit of home into the galley by providing the quality and selection our customers deserve. There may be other "food truckers" but nowhere else will you find a team so dedicated to your ultimate satisfaction. We deliver on what we say. We know you'll grow to realize, we're a cut above. Meat is always the dish great meals are planned around. We take no shortcuts in bringing our customers quality. Unsurpassed in this area we have gained many loyal customers who remain our best form of advertising. 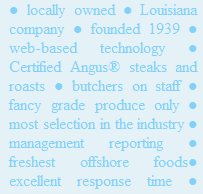 With freshly cut meat and the fastest delivery, we can handle your offshore catering needs. We will keep your boats supplied with the best groceries. We can supply the smallest crew boat, to large deep-water work boats and rigs. We deliver groceries and supplies and we are a one stop marine supply distribution. If you need it, we can get it. We are more than a warehouse and trucks. Located in Cannatas Family Market we have all the convinces of a full service supermarket. 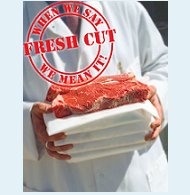 Fresh cut meat prepared to your exact description. Fresh bread and specialty items like King Cakes or our homemade Italian sausage. Every galley needs the occasional pot, pan, and other kitchen items. Write in any item and we will find it and ship it with your order. Ordering hundreds or thousands of items to feed you crew can be a daunting task.  Our software makes it simple. With our full service grocery store, meat department, specialty items, and warehouse, we have over 40,000 items. Don't spend time looking through items that you will never order. Customize your order form for only the items that you order most. Order on-line or on your vessel with our AMS Order Entry Software. Need the same items every week? Click the duplicate order button, adjust the order, and send it on its way. Saving you time and money, that's the Affiliated Marine way!